Free workshop for full members completing their CNHC portfolios. Show your support and by visiting attending the event. The British Association for Applied Nutrition and Nutritional Therapy (BANT) today put forward its members as key players in the fight against the nation’s obesity crisis. The move comes after the Health and Social Care Information Centre (HSCIC) released the UK’s obesity statistics today. The HSCIC’s report shows the proportion of adults with a normal Body Mass Index (BMI) decreased between 1993 and 2012 from 41.0 per cent to 32.1 per cent among men and from 49.5 per cent to 40.6 per cent among women. There was a marked increase in the proportion of adults that were obese between 1993 and 2012 from 13.2 per cent to 24.4 per cent among men and from 16.4 per cent to 25.1 per cent among women. BANT Deputy Chair Deborah Colson said: “Today’s statistics are extremely concerning. Action needs to be taken to do something about this epidemic as a matter of urgency. “Everyone has their own barriers to losing weight, their own stresses, commitments and ways of dealing with their health, diet and exercise, so a one size fits all approach is unlikely to be successful. People struggling with their weight need personalised support. “There are many factors involved in losing weight other than just eat less and move more. Other health conditions can inhibit weight loss, nutrient imbalances will play a part, environmental factors like shift working and stress can have a huge influence, and there are also psychological factors for those who find themselves struggling with their relationship with food. This is why it is so important that everyone is getting the individual help they need,” she added. 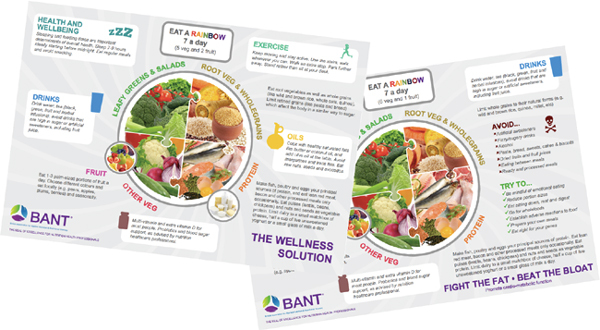 BANT has more than 2,000 nutritional therapists across the country who provide personalised support and weight management plans. Find your local nutritional therapist at www.bant.org.uk. The proportion of adults with a normal Body Mass Index (BMI) decreased between 1993 and 2012 from 41.0 per cent to 32.1 per cent among men and from 49.5 per cent to 40.6 per cent among women. There was a marked increase in the proportion of adults that were obese between 1993 and 2012 from 13.2 per cent to 24.4 per cent among men and from 16.4 per cent to 25.1 per cent among women. In 2012, 67 per cent of men and 55 per cent of women aged 16 and over met the new recommendations for aerobic activity. 26 per cent of women and 19 per cent of men were classed as inactive. While overall purchases of fruit and vegetables reduced between 2009 and 2012, consumers spent 8.3 per cent more on fresh and processed vegetables and 11.7 per cent more on fresh and processed fruit. In 2012-13, there were 10,957 Finished Admission Episodes (FAEs) in NHS hospitals with a primary diagnosis of obesity among people of all ages. This is 6.6 per cent less admissions than in 2011-12 (11,736), although this is almost nine times higher than 2002-03 (1,275). This is based on inpatient data only. Inconsistencies in recording practice vary over time between hospitals as to whether some episodes are recorded as outpatient or inpatient. This is the eighth edition of our new look BANT News we hope you enjoy it. As the time approaches for BANT members to become CNHC registered, some members have some questions about why we are aligning ourselves with the CNHC and how it all works. Here are some questions and answers that should help to make things clearer. WORRIED ABOUT YOUR 2013 CPD REQUIREMENTS? BANT will be taking a stand at the show on both days. We are looking forward to seeing you there.